We are looking at the role of the fivefold ministry in church planting today as we continue to work of taking the Gospel of the Kingdom to all nations. Especially the role of the apostle. The apostles especially have an important role to play in planting churches because they are the establishers, master builders, and architects. Their essential call is to plant new churches as they reflect the intent of their Sender, Jesus Christ. 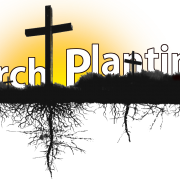 While they do not necessarily plant all of the church plants, it is important for them to obtain experience in church planting before they are declared apostles. They need to know what others will go through. Because they have already done it, they have faith to see it happen again and train others. When you are around an apostolic person, faith overflows and feeds into you and causes you to believe that you can accomplish what God is telling you to do. An apostle is always thinking about expansion, planting new churches, seeing the lost saved, and expanding what already is. Someone with a pastoral anointing will have a hard time seeing the need to plant a church. He will be satisfied to help elders of existing churches learn how to pastorally care for the sheep under their care. He does not feel the need to plant another church. It takes someone with an apostolic anointing to jump start leadership into recognizing that they can send out some of their current members under apostolic oversight to plant a new church and keep the zeal for winning the lost alive and growing in the hearts and lives of the people and existing local churches. An apostle will think in terms of sending out the best to get the job done while others may want to hold on to the best to help the already existing church to function smoothly. Local churches and the elders overseeing the work of the local church need the apostolic gift to help them think outside the box and dream. An apostle understands that God’s desire is that none should perish. Knowing the heart of the Lord, the Head of the Church, requires that we continue to plant many more churches. We cannot be content with the status quo. In fact, if we are content with the stars quo, many more people will enter a Christless eternity and the Kingdom will not advance, and that is the worst case scenario there is for an apostle. The apostolic gift will activate and impart spiritual gifts. Paul’s apostolic gift was used in his relationship with Timothy to fulfill his God-given destiny. He understood the tactics of the enemy and encouraged Timothy to press through. Timothy was used tremendously by the Holy Spirit in the early church plants. Timothy was an apostle trained and equipped, discipled and mentored, by Paul. So, the point is that we can’t just sit on what we have heard and learned. We need to do something with those words. Apostolic leaders encourage their people to activate and use their gifts and move out into their calling. The model developed in the early Church, according to the book of Acts, has the fivefold ministry intimately involved in spreading the Gospel of the Kingdom and seeing the Lord build churches in many cities and regions (Acts, chapters 13 and 14). Where no church existed, the apostles preached the Gospel and new churches were planted upon good foundations (Ephesians 2:20). Laying the foundations that were necessary to see the local church succeed is the task of the apostles and prophets. They utilized the evangelistic ministry to bring in the lost by preaching and sharing the good news of the Gospel of the Kingdom. Additionally, planting a new church required a prophetic orientation, so that the apostles could discern the spiritual needs of that community. Once the churches were formed, they handled problems as the arose and appointed local elders to care for the new church opening the way for the sheep to receive pastoral care and teaching through the ministry of the elders. Apostles, prophets, and evangelists are essential in the early days of a church plant. Apostles lay foundations and prophets break through the spiritual strongholds. Evangelists bring in the unsaved and help the new church reach out to their community. Later, fivefold pastors and teachers will travel in and train the elders and members in pastoral care and teaching the Word. Pastors teach the leadership team of elders how to provide a place of safety and comfort to the people, and teachers help to train the elders in teaching as well as teaching the basic doctrines of the Christian faith to the church in general so that members are well grounded in what they believe. Planting churches in the New Testament pattern requires a church-multiplying movement that involves the fivefold ministry functioning in all of its power and anointing. The fivefold ministry will never be fully developed unless fivefold ministers are released into church planting as they multiply themselves. 1> Dictating to God how to supply the needs of your family and ministry. If He is calling you to a be fivefold minister, then allow Him to tell you how He is planning on supporting you and your family while you do it. You will become frustrated and sometimes angry if the Lord does not come through in the way and method that you thought He should. 2> Comparing how God is meeting your financial needs with how He is meeting the needs of other fivefold ministers. He is the Supplier of your needs. Allow Him to do it in His fashion, according to His plan. Of course, you can observe how the Lord fills another person’s financial needs to spark some creativity in your own life as to how the Lord might supply your needs. 3> Seeing one area of provision as more spiritual than another, and it becomes an idol in your heart. God can use any number of ways to fill your financial needs. One way is not more spiritual than another. You must weed out those sentiments before you are placed into fivefold ministry. If you trust any one area as being more spiritual you get your eyes off of the Lord. 5> Expecting another person, mission agency, or church to provide the funds to fill your financial needs. Let’s get it straight right now. Your trust and focus cannot be on other individuals. Sometimes we can look at a successful businessman or woman and think that they should be giving some of their money to us. When we begin to see others as our source, we take our eyes off of the Lord as our Provider. Jesus told His disciples not to be ashamed to earn their living from the gospel, “for the worker deserves his wages.” I believe the Lord is giving fresh wisdom for many unique ways fivefold ministers can raise the financial support they need to enter into and stay in full time trans-local ministry. Proverbs 13:22 says a good man leaves an inheritance to his children’s children. Some families have used inheritance money as God’s provision to support them as tans-local fivefold ministers and church planters. This frees the person from the need to work a regular job that would prevent him from travelling. The person would need to be wise in managing his investments and make wise decisions on spending and investing. However, he would be free from having to report to a regular job and could use his time and energy to develop his trans-local fivefold ministry. In the Parable of the Talents in Matthew 25:14-18, Jesus brings home the point that we should be faithful and multiply the talents He has given to us. Some successful businessmen who have been blessed to use their talents wisely give a season in the latter part of their lives to developing their fivefold call into full time. Those who have high paying jobs and are able to retire early with a substantial pension are especially blessed in this way. Proverbs 6:6-8 tells us that ants “labour hard in the summer, gathering food for the winter” (Living Bible). Some individuals work hard and save for a season and then use the money that is saved to support their fivefold ministry. I know of several fivefold ministers who worked many years and got to a level financially that they were now financially free to go into full-time ministry. A case in point could be an owner of a company, who delegates others to run the business, leaving him the flexibility to go into full- or part-time ministry. Or, someone who has a seasonal job can make a year’s living in six months of the year and then can travel freely to minister the remaining six months. Common sense tells us that we must count the cost before starting a project (Luke 14:28-30). Unmet expectations bring a death blow to many trans-local fivefold ministers. In light of this, the following questions may be of help to a person as a fivefold minister to count the cost regarding how the Lord will meet your financial needs. 1> Has the Lord really called you to trans-local ministry? 2> Do you know the way that the Lord is leading you to raise the support that you will need? 3> What should you be doing right now to start the process of raising a sufficient financial base? 4> Are you willing to count the cross and “bear the cross?” If God’s choice of provision is not the same as yours, this may be your cross to bear. 5> When on door of provision closes, am I willing to allow God to open another? There are some fivefold ministers who have taken the step of faith and gone on the road, so to speak. This concept may conjure up ideas of an evangelist in a white suit with a mailing list. He blows into town, teaches a powerful message, has people sign up for his newsletter and then they are on his mailing list for years as he continues to send them material asking for finances to support what he is doing in other parts of the world. While this is not inherently bad, the problem comes when people begin sending him their tithe money that should e going to the local church. Although the fivefold minister will pray for us when we send him a contribution with a prayer request on it. He is not going to take our spiritual growth personally. If one of our children gets sick. we are not going to call him to meet us at the hospital. These are the tasks of the local leader who should be paid from the tithes of the people. We must be practical – a travelling fivefold minister cannot be our pastor, and we should be tithing to the storehouse, our local church, where we are receiving personal care and concern for our lives as well as being feed a steady diet of God’s Word. Certainly, the travelling fivefold minister who lives from the Gospel is worth investing in. However, when they are earning their living through their travelling ministry and only through their ministry it can be quite difficult. Love offering are not always big and a fivefold minister does not usually minister every night but rather a few times on a weekend. However, his bills come in on a daily basis and need to be taken care of. I believe that whether a fivefold minister is ministering to a small house church or home group or a large mega church, an opportunity for people to sow into the individual’s ministry should always be given. We need to be generous in blessing those who minister trans-locally. In doing so, as people and leaders, we are teaching others, by example, that it is good and godly to give. Another method of financing a fivefold minister is to honour the one that a church or network (union) of churches sends out. 1 Timothy 5:17-18 tells us the labourer us worthy of his wages. Sometimes the local church leader will be supported as he ministers for a season in another part of the world. This, more or less, puts him in the trans-local category at least for a season. Because of their relationship with him and an affirmation of his gifts and calling, the church leadership team feels led of the Holy Spirit to continue the support of the outgoing minister for a season of time. It is almost as if he is on staff with the local church but absent. This can be for a short season or even a longer period. Communication and relationship must be continued, and leadership teams should evaluate yearly who they are supporting and how much they give toward support. The minister is counting on that support, so if there is going to be a change, church leadership should make sure that they let the individual know in advance. Give them at least three months notice so they can make preparations for the change. In Matthew 17:27, Peter found a coin in the mouth of a fish to pay his taxes and Jesus’ taxes. This was not normal for Jesus’ provision; however, the Lord did feed 5.000 supernaturally. I have seen, in my own ministry, the Lord supply ministry supernaturally on a number of occasions. We are not talking about an extra cheque in the mail, or someone coming up to you and handing you an envelope with money in it that you were not expecting. While each of these is definitely provision from the Lord, we are talking about pure supernatural provision here. It is the kind of provision where the Lord provides money where there is no natural explanation for it, only God’s supernatural provision. Fivefold ministers can expect the Lord will provide finances supernaturally at times. Usually, it is for a specific need when there is nowhere else to turn for relief, and the Lord brings relief. While these times are amazing, it is very rare to live like this all of the time. Provision can also come from local church support. In 2 Corinthians 8:3-4, a gift was given to Paul from the local church. Some fivefold ministers are blessed by the support of their local church as God’s way of providing for them. We believe that everyone in the Body of Christ needs to be committed to a local body of believers. It doesn’t matter if it is a micro community (house church) or a mega church – fivefold ministers should be a part of a local expression. If they are not connected to a local church, they can forget what body life is like with all of the challenges of ministry and life. They will feel and be detached, and their ministry will not be as relevant as it would be if they were part of a local expression. A developing fivefold gift will first be acknowledged in the local church. It is in the environment of local church accountability that it is allowed to be tested, developed, mentored, and matured. You wouldn’t allow a surgeon to operate on you if he didn’t have the proper training, mentoring and accountability of the medical board that brings correction to him if he makes mistakes. Why then would you allow a prophet to speak things into your life if he has not had the proper training, mentoring and accountability 0f a local church to bring correction and adjustment into his life? It would be pure foolishness. I run into fivefold ministers like this from time to time as I travel to various parts of the world. They have a true calling and gift but are not accountable anywhere. and they want to prophesy over me. I am guarded with those who cannot or will not submit to a local church. Conversely, if a fivefold minister is committed and loyal to a local congregation and have a valid developing ministry, I encourage the leadership of that local church to try to carve out some of their yearly budget for that individual. The fivefold minister, in turn, should make himself available to serve that leadership team in any way they can to enhance the ministry of the local church. 1> Keep finances available in your church to bring in other fivefold ministers to train and invest in your own developing fivefold ministers. Pay for a luncheon meeting, allowing plenty of time for questions and answers and impartation. 2> Have finances available to send the developing fivefold minister away to a seminar or conference pertaining to his specific gift. 3> Cover some travel expenses as he ministers in your small groups. 4> Pay for the fivefold minister to go on a two-night get-away to a hotel or a retreat centre to spend time alone with God his Father. You are showing him that he is valuable and worth investing in. 5> Buy some teaching DVDs pertaining to their gifts and make them available. You are investing in the future. 6> Set aside a monthly amount to support the ministry of the fivefold minister. All of these ways will show developing and mature fivefold ministers that they are of value to you, that you believe in developing the fivefold ministry, and that they are worth investing into. We began to look at potential sources for provision for fivefold trans-local ministers who are not home often and long enough to hold down a full-time job to earn money to support their family and ministry. Let’s continue this brief overview where we left off yesterday. This type of provision is entirely funded by a person’s own secular work. In Acts 18:1-3, we see that there was no church money supporting Paul at this time. He earned his income by his own labours: “…because he was a tentmaker as they were, he stayed and worked with them…” Tent-making is working at a job or business to earn income to finance a fivefold minister’s family and the next church plant if he is planting a church. We are hearing more and more about how the Lord is beginning to supply the needs of those in ministry by new business ventures. It is something that the Holy Spirit is doing. Then there is the financial support that comes from a team consisting of family members and friends. With the extra manpower of Silas and Timothy arriving to help Paul in his work, in Acts 18, we notice that Paul shifts from full-time secular work to having his finances provided for him so that he could devote all his time to others. “When Silas and Timothy came from Macedonia, Paul devoted himself exclusively to preaching…” He could do this because additional breadwinners arrived, and they could pool their paycheques, so Paul would not have to work at a tent-making job. Paul now has a team supporting him financially while he ministered full-time. In Luke 8:1-3, we read that Jesus had a team who supported Him from their substance. Many para-church ministries encourage workers and church planters to build a support team of family, friends, and churches who give financially on a regular basis to support them in their calling and ministry. This is a Scriptural way for the Lord to provide for the fivefold ministry. This idea is to find others who believe in your calling and ministry, and give them an opportunity to sow into your life financially as you accomplish that ministry. We must be careful here that we place our dependency entirely on the Lord and do not become dependant on others to supply our needs. 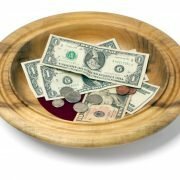 We should not become Christian beggars, constantly asking people for finances. If the Lord is calling you to fivefold ministry then He has a financial plan to see it happen without putting undue pressure or guilt on people to support you financially. I believe that you as an individual should be supplying at least some of your own finances, whether it is through a job or ministry work that you are paid for, in order to generate some of your own support. In this type of ministry support some principles should be followed. There needs to be a communication link with those who are supporting you and the ministry that you are doing. We are all stewards of what the Lord has given us, and we are responsible to put our money into fruitful areas of ministry. Regular communication with updates and reporting ongoing vision are necessary to keep those supporting you aware of all that the Lord is doing in your life and the lives of those whom you are touching. We have the vision, the qualifications, the affirmation of those who give oversight to our lives and the right motivation to do those things called fivefold ministry (see earlier blogs in this “Fivefold Ministry” series). Now the big questions is, how do we finance it? It is easy if you are a pastor and leader a local church; you have a constant flow of finances called “tithes” from which to draw and build. But what if you are not employed full-time in a local church but travel trans-locally in a number of churches and nations, then what? This is the reason why there are many leaders with one of the fivefold gifts leading churches when they really are not called to do it. They lead churches because it is the easiest way to finance their ministries of apostles, prophets, evangelists, pastors and teachers. They are not fulfilled at it, and may not have the governmental calling to lead, but it is one of the only mechanisms in place that currently works. These men know that if they want to step down from leading the local church, their finances would dry up. Sometimes this even leads to fivefold ministers laying down their call. They still have the call and the anointing and gifts for that call; they just do not have a clue on how to make a living whole doing it. So, they simply don’t do it. This is not an easy questions to answer nor is it one to take lightly. If we truly want to see the fivefold ministry released in today’s Church, we must figure out how to finance these individuals. Obviously when someone is leading a local church, the pressures of ministry can be greater and more demanding than someone who is a fivefold minister attending the local congregation and ministering trans-locally. But fivefold ministers have bills to pay just like everyone else. They need gas for their car, food on the table, and even an occasional vacation like others are accustomed to taking. While we don’t yet have a common answer to this problem, I believe we can at least give some insight that can help get a dialogue started so this whole area can be brought out into the open and discussed. There is also a certain amount of what I would call “critical mass” that is necessary for someone to be supported full time for fivefold ministry. In other words, for a single church to support a fivefold minister, they would most likely need to be in the mega church size (over a thousand members) to be able to raise the finances – for there to be a substantial amount after salaries and expenses locally to then support in an adequate way a trans-local fivefold minister. To be fully supported in a network of churches, there would need to be a large enough network to supply the finances. What if we are not a part of a mega church or a large network of churches that can support the fivefold minister? There are other ways. Let’s explore together several different options. Let’s remember first, that as Christians, we are all in full time ministry whether it is through our business, at our job, in our school, at our home in the neighbourhood or leading a church. Our goal is to share the light of the Gospel of the Kingdom as we go about our daily lives. What is different for each of us is how our financial needs will be met. When a person is involved in ministry as his “job,” like the fivefold minister who is trans-local and therefore cannot have a full time secular or even church ministry job in a community… he still has two financial areas that need to be considered. He has the finances needed to adequately support and live as a family and he has ministry expenses needed to accomplish the ministry to which the Lord has called him full time. Biblical precedent: Labourers should be supported. In Bible times, when oxen were driven back and forth over the threshing floor so they could stamp out the grain from the chaff, they were allowed to eat of the fruits of their labours. In some kinds of labour the oxen was muzzled, but Old Testament law required that on the threshing floor, which required repetitious and continuous labour, the oxen should be rewarded. “Do not muzzle an ox while he is treading out the grain” (Deuteronomy 25:4). Paul quotes this law both in 1 Corinthians 9:9 and 1 Timothy 5:18, showing that God did not appoint it for the sake of the oxen alone, but that every labourer is worthy of his hire. We willingly pay the car mechanic and the doctor for their services, so we should gladly reward those who about for the good of our souls. It is clear from this passage that Paul believed that those who laboured in the service of God would have competent support. In 1 Timothy 5:18, Paul again mentions the analogy between the oxen and the one who labours for the welfare of the Church. Again, he says they should be given sufficient and appropriate recompense so as not to worry about money for their family or their ministry. 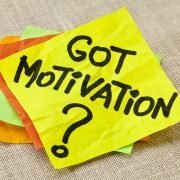 As we continue our look at the motivation any minister should have and fivefold ministers are going to certainly need to develop we see that the fourth motivation is to understand that we must get the job done. Being vision-driven is looking for the most effective way to get the job done using the most effective people to do it. Being driven by the vision is when the vision drives us to sacrifice things that the Lord is not asking us to sacrifice in order to fulfill the vision. Too often, things like health, family, and relationships take a back seat to those who are driven by the ministry. Not that sacrifices do not need to be made, but we should not make sacrifices that the Lord is not asking us to make. We must listen closely to the Holy Spirit: He is vision-driven. He has a vision that will be fulfilled. We must follow His lead and do as He asks. Self-preservation causes a fivefold minister to say and do that which promotes himself and his ministry. If he feels threatened by those who seem more gifted or qualified, he may not ask them to minister. Self-preservation may hold him in a limbo state and hinder him from growing. God wants us to be fruitful and continue to grow. It was self-preservation that caused the Pharisees to hate Jesus so much. They realized His teachings would take away their authority and control over the people, so they rose up against Him. Someone once said, “Worth and value are not the same as level and function.” Success is being what God created you to be. If God has called you to usher people to their seats every Sunday morning, your reward will be the same as the apostle who is sent to plant churches. It comes down to faithfulness and obedience. God rewards faithfulness. He sees our heart motivation and knows why we are doing what we are doing. The Lord is glorified when we bear fruit – when we are doing that we were created and called to fo. Whatever the aspect of ministry, God is glorified when you fulfill your ministry. “This is to My Father’s glory, that you bear much fruit, showing yourselves to be My disciples” (John 15:8). As we conclude our look at motivations for ministry – before we have a look at how to finance the fivefold ministers – It is not wrong to feel good and be excited about ministry. We can be joyful about ministry because people are pointed to Jesus. We are not on stage, but instead Jesus is being lifted up and people are being drawn to Him. When ministry takes place, we can be excited because people are ministered to by the Holy Spirit. We begin to see the Holy Spirit working in their lives. The Holy Spirit can do it better than anyone. Another thing that happens during ministry is that the enemy is crushed. When God invades someone’s life, it brings tremendous joy because the domaine of darkness receives a blow. That in itself should bring a resounding “yes!” in our spirits no matter who is getting the credit for the ministry. When someone scores a goal the whole team rejoices because they know that they win or lose as a team. As a team, they are vision-driven. If only we could grasp the same concept in the Church! While Moses did not seek out leadership, when it was given to him, he accepted it from the Lord as God’s call on his life. Later, when Miriam and some others came to Moses and questioned his leadership, he did not relinquish his authority. He knew he had to fulfill God’s call and stand his ground, even interceding for them and telling them not to rebel against the Lord. Public ministry cannot be seen as something to strive for. People often idolize the on-stage or up-front ministry and think, “If only I can make it to that level, I will be of value.” Certainly powerful ministry often happens up front, but I have seen God move just as powerfully in a small group in a room tucked away in the back of a restaurant or during one-on-one ministry. It is not the size of the group or the place in the building that limits God. It is our understanding and expectation that God is drawn to the fanfare of public ministry – or, worse still, to our public ministry. This limits the anointing and God. Obviously there are different dynamics at work when there is a larger group meeting, but if we place our emphasis on the larger crowds, we are training people that the larger the crowd, the bigger and better the anointing. And that is seldom if ever the case. God does not want to share His stage with anyone. We need to realize that our “private” anointing is just as important as our ministry in public. We need to sense the Lord’s presence when it is just us and the Lord without the crowd. If fivefold ministers think that the best ministry happens on stage, it comes a platform or a place of performance where people will notice them. With a place of performance comes an evaluation or rating. We begin to ask questions such as, “Was it good?” “Did you like it?” We become more concerned with what we look like, how the people will receive us, and what the people are thinking. This is a trap. Having the heart of a servant (Ministry motivation #3) means being willing to serve without recognition. Jesus said that even after we have done everything He has asked us to do, we have done nothing, really. Why? Because it is only what is our duty to do. Ministry is not a position to bring self-affirmation; it is a place of servanthood.